Formed in 2005, the Chiaroscuro Quartet comprises Russian violinist Alina Ibragimova Spanish violinist Pablo Hernán Benedí, Swedish violist Emilie Hörnlund, and French cellist Claire Thirion. Dubbed “a trailblazer for the authentic performance of High Classical chamber music” by Gramophone, this international ensemble performs music of the Classical and early Romantic periods on gut strings with historical bows. The quartet’s unique sound (described in The Observer as “a shock to the ears of the best kind”) is highly acclaimed by audiences and critics all over Europe. The last movement is a sonata rondo with a great profusion of themes but a quite eccentric formal structure. The orchestra briefly introduces two themes, the first a skipping tune decorated with trills followed by a unison passage featuring a repetitive motive of three notes descending by step. When the piano enters, however, it ignores both of these, choosing instead to spin out its own tune. It does eventually get around to taking up the tunes presented by the orchestra, but more surprises await when the piano cadenza ends up in a dialogue with the orchestra! Filled with thrills and spills, this concerto gave its gave its Viennese audience quite an exhilarating ride. Kristian is an Artistic Director of the Freiburger Barockorchester and Principal Guest Director with the English Concert. He is a regular guest with the world’s leading ensembles including Les Arts Florissants, Orchestra of the Age of Enlightenment, Orchestre des Champs Elysées, Koninklijk Concertgebouworkest, Chicago Symphony Orchestra & the Leipzig Gewandhausorchester; and has guest-directed (from the keyboard) the Orchestra of the Eighteenth Century, Tafelmusik, Collegium Vocale, Juilliard 415, Kammerakademie Potsdam and Dunedin Consort (St Matthew Passion). 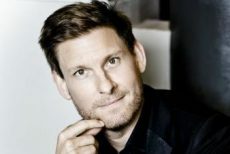 Kristian’s rich and award-winning discography on Harmonia Mundi includes the complete keyboard music of Mozart (Diapason d’Or de L’année, Preis der Deutschen Schallplattenkritik, & Caecilia Prize); Mozart Violin Sonatas with Petra Müllejans; Mendelssohn and Mozart Piano Concertos with the Freiburger Barockorchester (ECHO Klassik); Beethoven, & Mozart Lieder, and Schumann Dichterliebe with Mark Padmore (Edison Award). In 2013 he was nominated as Gramophone Magazine’s Artist of the Year. Recent releases include Winterreisse with Mark Padmore, and Bach’s sonatas for violin and harpsichord with Isabelle Faust. In the 2018/19 season, Kristian play-directs programmes with Scottish Chamber Orchestra, Irish Baroque Orchestra, as well as Freiburger Barockorchester and English Concert. As a soloist he performs with Cleveland Orchestra/Cohen, Swedish Chamber Orchestra/Dausgaard, London Symphony Orchestra/Gardiner, Deutsches-Sinfonie Orchester Berlin/Ticciati and Orchestre de Paris/Harding. Solo recitals and chamber music (with Rachel Podger, Sol Gabetta and Chiaroscuro Quartet) take him to Paris, Amsterdam, Madrid, Vienna, New York, Washington DC, Montreal, Vancouver, Zurich and Oxford. Their growing discography includes recordings of music by Mozart, Beethoven, Schubert, Mendelssohn and Haydn. The Chiaroscuro Quartet was a prize-winner of the German Förderpreis Deutschlandfunk/Musikfest Bremen in 2013 and received Germany’s most prestigious CD award, the Preis der Deutschen Schallplattenkritik in 2015 for their recording of Mozart’s Quartet in D minor, K. 421 and Mendelssohn’s Second string quartet in A minor, Op. 13. Among the ensemble’s chamber music partners are renowned artists such as Kristian Bezuidenhout, Trevor Pinnock, Jonathan Cohen, Nicolas Baldeyrou, Chen Halevi, Malcolm Bilson and Christophe Coin. Recent engagements included their enthusiastically received debut concerts at Vienna Konzerthaus and Philharmonie Warsaw. In April 2016, the quartet embarked on its first tour to Japan playing concerts in Tokyo and Hyogo. Other highlights have taken the ensemble to the Edinburgh International Festival, Concertgebouw Amsterdam, London’s Wigmore Hall, Auditorio Nacional de Música Madrid, Music Festival Grafenegg, The Sage Gateshead and Gulbenkian Foundation Lisbon.